Emanuel Boettcher, product manager medical at Schöttli, describes the company’s screw-on systems and how these high precision medical components meet maximum safety requirements. 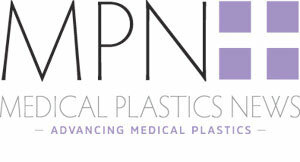 Medical products such as disposable plastic syringes, needle holders and other connection components are frequently connected to the syringe cylinder using a standardised, simple, conical push connection (luer slip). For more demanding applications – where safety requirements are more stringent, for example – the additional luer lock threaded connection provides a more secure connection. Swiss mould-maker Schöttli, acquired by Husky Injection Molding Systems in 2013, has developed high-precision screw-on systems for the injection moulding of these luer lock threads on syringe cylinders and other medical components. These systems are used as the standard for applications with a female thread, ensuring that extremely high production requirements from customers can be consistently met. Since the syringe cylinders have a cylindrical sleeve with a female thread in addition to the conical connection, the shaping, rotating thread cores in the injection moulding tool have a corresponding male thread. Electrical servo motors are ideally used as actuators to generate this rotation. Alternatively, the rotation can also be achieved using hydraulic cylinders. The force is mainly transferred from the actuator to the rotating cores via gear wheels and toothed racks. This concept has been used for multi-cavity tools with up to 128 cavities. Higher numbers are inspected on a case-by-case basis and can be adapted and implemented to suit the customer's requirements. The screw-on systems are available with a quick-change design for the threaded core. An auxiliary tool made from brass with a corresponding male thread is available for this purpose and ensures that parts can be replaced simply and securely. If necessary, a screwable threaded core can be dismantled even more quickly and easily from the separating plane itself. The procedure takes around 30 seconds per item and there is no need for the injection moulding tool to be completely or even partially dismantled. Maintenance work can be carried out when the tool is locked, reducing downtime and increasing the availability of your mould. This means significant productivity increases for customers. Electric motors are preferred for use with the screwable cores, as electrically-driven servo motors deliver reliable production with minimal energy consumption. In addition to ease of maintenance, these servo drives offer maximum precision at varying speeds and with varying levels of force control. This significantly reduces the risk of the mould parts wearing prematurely. Customers benefit from maximum quality of the injection moulded parts and from increased operating hours. Unlike hydraulic systems, electric drives cannot suffer oil leaks; consequently tools with this set-up are ideally suited for use in a cleanroom environment. The space-saving and straightforward cluster design that underpins these tools is an innovative tool concept that supports lateral injection from one or both sides of rotationally symmetrical, tubular injection-moulded parts. A sophisticated and precise system for centering lids on dies eliminates errors during assembly and reduces offset of the components to a negligible level. This enables low-maintenance, compact tools to be built, supporting the manufacture of high-precision injection moulded parts coupled with easy access to all shaping components in addition to the injection nozzle. Additionally, the nozzles for lateral injection can be installed centrally or flexibly in the cavity. This means that, depending on requirements, the nozzles can be designed for cavities to be injected from one or both sides. In my opinion Schöttli high-performance, multi-cavity tools are a strong solution for process-optimised medical production lines. The servo-controlled screw-on technology equipped with the quick-change concept enables efficient manufacture of high-precision medical components that meet maximum safety requirements. This customer benefit is supported by the compact design and innovative cluster concept. Screw-on tools have proven their worth in recent years in numerous applications in the growing medical market, including syringe cylinders and cone stoppers.